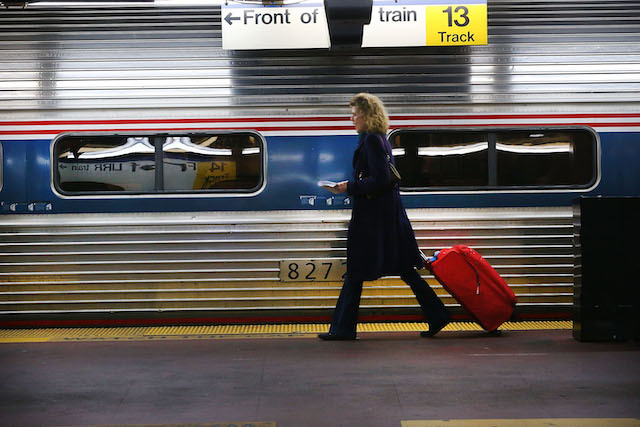 New Jersey commuters got a surprise, and not the good kind, Thursday when they showed up to the train station and the doors were locked. When train riders started asking why on social media about why the doors to the Hamilton train station weren’t open, the New Jersey Transit responded that it wasn’t there fault, per the New York Post. There was quite a few riders that seemed less than pleased about what had happened and they didn’t sugar coat it. why is a donut shop in charge of opening a train station? “NJ TRANSIT has an arrangement with Dunkin Donuts that allows the vendor access to Hamilton station to prepare for business before the station’s ticket window officially opens at 6 a.m.”spokesperson Nancy Snyder with NJ Transit shared in a statement to NJ.com. “We have to open our store at 4:30 in the morning, so if the lobby is not open, we have to open it for them. Without the lobby open, there’s no access to come in the store,” Fazid, the manager of the store explained, without providing his last name.